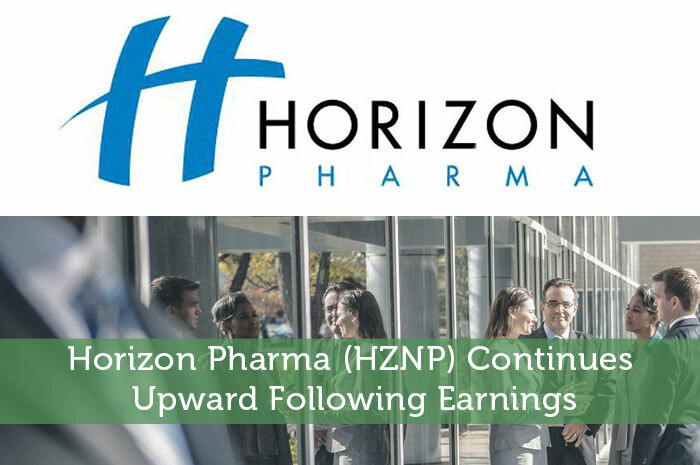 Earnings Per Share – As mentioned above, HZNP absolutely blew away earnings expectations. While analysts expected the company to report earnings per share in the amount of $0.41, the company actually reported earnings for the quarter at $0.54. Revenue – Top-line revenue also came in well ahead of expectations. Driven by strong growth in Primary care, Orphan and Specialty care as well as additional medicines in the Orphan and Primary Care units, HZNP reported revenue in the amount of $226.5 million, well above the expectations of $192 million. Expense Adjustments – In the report, we also learned of changes to expenses. In the case of research and development, expenses came in at $8.9 million. General and administrative expenses came in at $23.3 million and sales and marketing expenses came in at $44.8 million. As you can see from the data above, the report proved to be overwhelmingly positive. On Friday, when the report was released, HZNP climbed in the market, gaining more than 20% on the trading session. Monday, the gains continued. While we’re not seeing the massive movement that we saw on Friday, it’s clear that investors are still happy with what they’re seeing. At the time of writing this article (12:41), HZNP had already moved up by 5.14% to $22.08 per share. Moving forward, I’ve got an overwhelmingly bullish opinion of what we can expect to see from Horizon Pharma. First and foremost, investors ultimately invest for growth. As we saw from the recent earnings report, HZNP is more than capable of generating solid earnings, solid revenue and growing further. It’s also worthwhile to mention that HZNP has increased 2015 guidance in a big way. Previously, the company was expected to generate net sales between $660 million and $689 million for the year. However, following the strong quarter, HZNP has increased this guidance to between $750 and $760 million in net sales for the year. Also, the company’s acquisition of Pennsaid in October 2014 is proving to have been an incredibly positive move. In the long run, I’m expecting for this acquisition to lead to even more positive news for investors. While expenses are indeed moving in the upward direction, so too are revenues and earnings. All in all, I stand with the investors that were incredibly impressed with this earnings report and who are excited to see what happens with the stock moving forward. Where do you think HZNP is headed and why? Let us know your opinion in the comments below.